Church employees support and represent the fundamental beliefs of the Seventh-day Adventist Church in the classroom. See a fair, supportive and encouraging environment for students who believe in the church’s position on creation. That the Bible and true science are taught as being in harmony, shedding light on one another. Educate Truth began June 2, 2009, and has since become the central website for all information related to the La Sierra controversy. Dr. Sean Pitman, a graduate of Loma Linda University and City of Hope National Medical Center, is an anatomic and clinical pathologist with a subspecialty in hematopathology. He is the son of SDA pastor Tui Pitman and registered nurse Faye Pitman, and attended SDA schools for most of his student career – to include medical school at Loma Linda University (Class of 97). He then spent four years as a physician in the US Army, married his beautiful wife Sigrid, finished his pathology residency at Loma Linda University Medical Center and his hematology fellowship at the City of Hope National Medical Center. Dr. Pitman has long been interested in the topics of evolution and creation and has devoted a great deal of his spare time, especially since medical school, to discovering more of God through His creation. 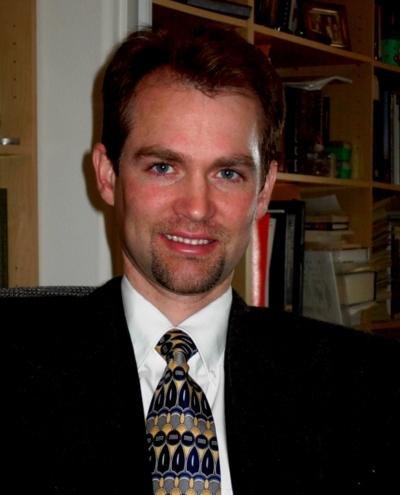 Since 2006 he has also been personally involved with trying to address the problem of a Seventh-day Adventist school, La Sierra University in particular, promoting theistic/mainstream evolutionary theories as the true story of origins in science classrooms – directly undermining the clearly stated “fundamental” position of the SDA Church on a literal six-day creation week. He has twice been invited to speak at LSU, at the sponsorship of student organizations, to address the conflict between Creation and Evolution and has been very active in the current controversy with LSU over this issue. You can view his website at www.DetectingDesign.com. Those individuals who call themselves Seventh-day Adventists who are responsible for and support the “ministry” of educatetruth.com, can take some satisfaction that the vicious attacks orchestrated by them against a SDA university has got the attention of a high official of the Adventist Church. EducateTruth.org has shown us the way in how we can attack other Adventists and Adventist institutions, label them as agents of Satan, and then say this is being done to educate us about Truth. Very strange. Educate Truth is not labeling anyone as an “agent of Satan”. We fail to see how presenting the truth as to what is really being promoted as the true story of origins in LSU’s science classrooms can be reasonably referred to as an “attack”. If LSU and its science professors are really doing right by their employer, the SDA Church, then why on Earth would they feel “attacked” when their work is presented for public review by the Church membership at large? – as well as for potential students and their parents?